Aaron began his journey in rural British Columbia intending to become a Broadway star, and really didn’t like opera. But when offered a chorus position for Eugene Onegin in Victoria, British Columbia, everything changed. An alumnus of UBC, Aaron holds a Master’s degree in Opera Performance, working under the tutelage of famed Canadian baritone Peter Barcza, the considerable directorial prowess of Nancy Hermiston, and the interpretive mastery of Rena Sharon. 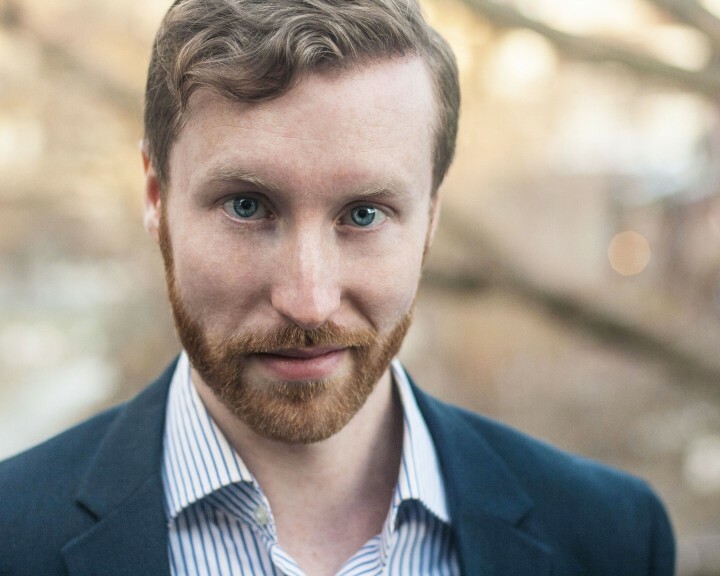 As part of the UBC Opera Ensemble, Aaron had the privilege of performing roles across the entire operatic spectrum, including Guglielmo (Così fan tutte), Danilo (The Merry Widow), John A. MacDonald (Louis Riel), Thomas Putnam (The Crucible), the Gamekeeper (Rusalka), and Pandolfe (Cendrillon). As part of the Ensemble’s summer program, he also traveled to the Czech Republic three summers in a row, performing Papageno (Die Zauberflöte), Count (Le nozze di Figaro) and Schaunard (La Bohème) in theatres across the country. Finally, as part of the Ensemble’s cultural exchange trip, Aaron performed operatic excerpts across Beijing, Chengdu, and Shanghai. Aaron graduated in 2012 and was granted a spot in Vancouver Opera’s newly minted Yulanda M. Faris program. From 2012-2014, Aaron performed numerous roles with VO, including Schaunard (La Bohème), Samuel (The Pirates of Penzance), Speaker (The Magic Flute), Sid (Albert Herring), and Masetto (Don Giovanni). Simultaneously, he was committed to building a reputation as an independent artist, performing music both classic and contemporary across the Lower Mainland, with highlights including Silvio (I Pagliacci) with Burnaby Lyric Opera, and workshopping exciting new music by local composer David MacIntyre. He is also deeply grateful to have performed the role Javan in When the Sun Comes Out, Leslie Uyeda’s deeply important work, for the Vancouver Queer Arts Festival. Now living in Toronto, Aaron has started a new chapter of life by participating in the thriving indie opera community, beginning in 2014 by playing the “guileless and loveable” (Opera Going Toronto) Masetto in Against the Grain Theatre’s #UncleJohn, a visionary re-imagining of Don Giovanni. Steadfast in his belief in the power of contemporary opera, he continues to explore pieces such as Heggie’s Dead Man Walking with Opera on the Avalon, and has also received a Dora award as part of the ensemble in Tapestry Opera’s smash hit, The Rocking Horse Winner.